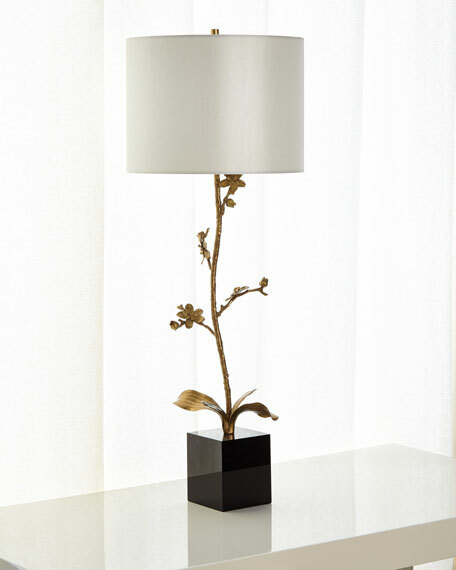 An organic orchid candlestick lamp with a black crystal base. 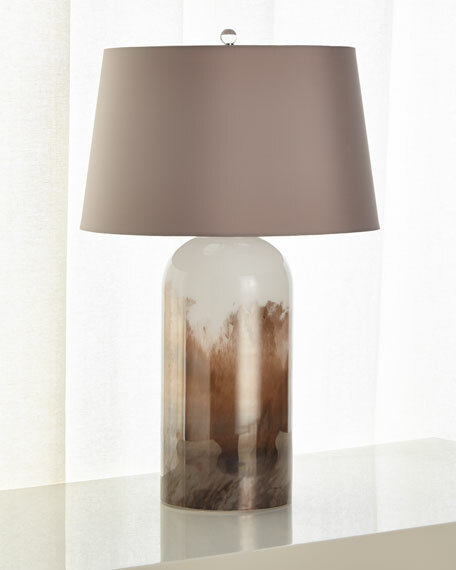 The detail in the leaves and flowers is gracefully displayed on this impressive lamp. 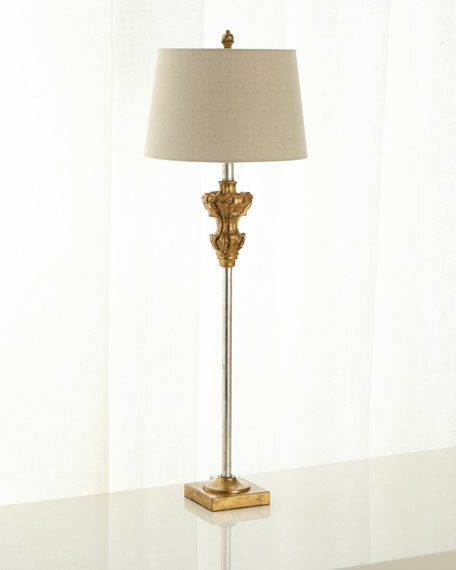 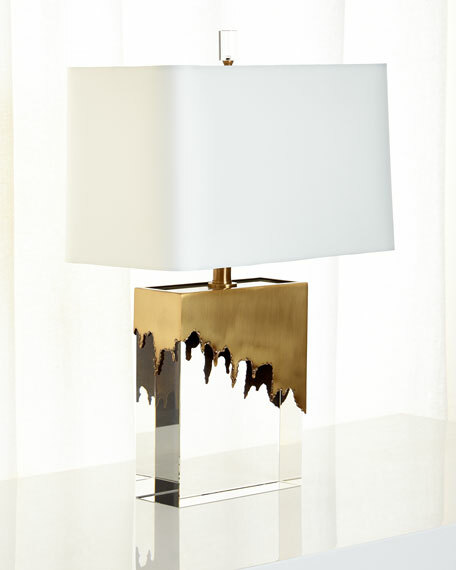 Handcrafted buffet lamp with brass details and crystal base.